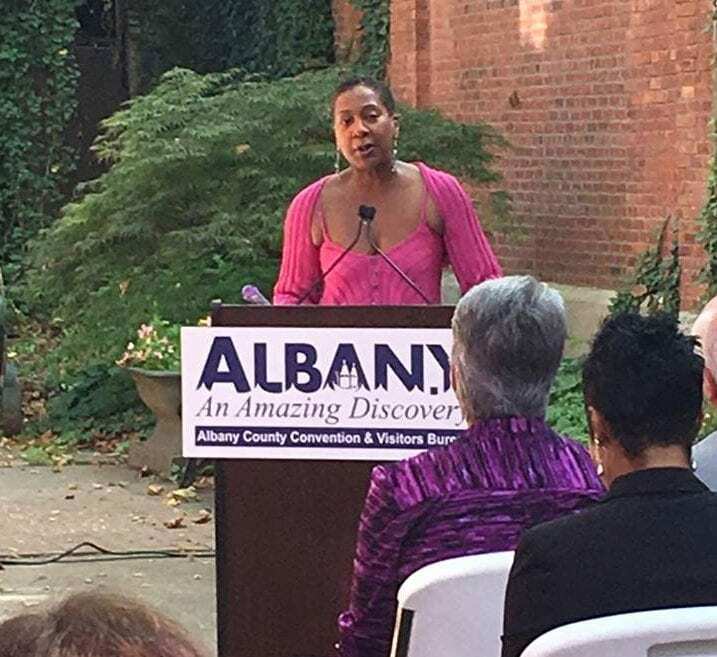 ALBANY — Visitors and residents of New York will be able to delve a bit deeper into the state’s African heritage with a new tour program that encompasses Albany County, along with multiple other areas state-wide. The tours — which will highlight the significance of Dutch settlers, Native Americans and African Americans to the state — are the result of a collaboration between the New York State Division of Tourism, Albany County Convention and Visitors Bureau, Dutchess County Tourism and Black Heritage Tours. The Black Heritage Tours company was founded in 2013 by current CEO Jennifer Tosch in the Netherlands to highlight the history of slavery there. Tosch can trace her ancestry to Suriname, a small South American country and former Dutch colony. Tosch’s parents immigrated to New York from Suriname in 1960, while America was in the midst of its Civil Rights Movement and while she said her parents very overwhelmed by the social climate of their adopted country at the time, they wanted her to have the highly sought after American dream lifestyle. Tosch had no intentions of starting a tour company until she went to Amsterdam in 2012 as part of a study abroad program to learn about her Dutch ancestry. While there at a Dutch university, she realized that the history of African Americans in the country was not being told in full and began to do her own research, which culminated with the creation of Black Heritage Tours in Amesterdam. Now, after three years, she has succeeding in establishing the sister company in New York. Tosch hopes that the tours will develop and expand on a narrative about the marginalized groups and to show other sides to heritage stories. “We’re here to bring these stories together, to intertwine and weave together a narrative that shows that it wasn’t just one group that came, it was immigrants all over the world, either as captive or enslaved or indigenous or Native Americans and First Nation Peoples that were here,” Tosch said at a press conference on Friday. U.S. Congressman Paul Tonko, who attended the press conference, heaped praise on the new tours, highlighting in his remarks the importance of establishing a sense of place in the efforts to understand and connect different heritages. Gail Geohagen-Pratt, who spoke at the press conference on behalf of Albany County Executive Dan McCoy, noted the positive impact the tours will hopefully have on the state’s economy. 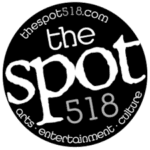 Tourism in the state supports over 15,000 jobs, according to Geohagen-Pratt, and produces approximately $518 million worth of income for the county. Geohagen-Pratt said that without state tourism, the average household in New York would have to pay an additional $1,006 dollars in taxes to maintain the current level of government revenue. Aside from the economic benefits, Geohagen-Pratt said that the tours will give the public the chance to examine lesser known histories. “Albany County is proud of its strong heritage. We often hear about the Dutch presence in the founding and the colonization of Albany. The history of Albany is beyond that. It’s beyond black and white. It includes that but it extends beyond that. And we’ve only predominantly heard about one side of that history. So with these tours, we’re doing more to recognize a diversity in our founding, and place the same emphasis, if you will, on the importance of all histories inclusive of everyone’s experiences,” she said. The tour buses will drive throughout Albany County and at least five other counties on the path to New York City, which has around 10 historically significant sites relate to the tour, according to Tosch. Since the state itself has around 60 different sites overall and it would be impossible to reach each one on one tour, said Tosch, each tour will visit different sites. The tours focus on the transnational history between the Netherlands and New York from the 17th century on. Tosch pointed out that the evidence of Dutch heritage and influence in New York is still omnipresent, particularly in the names of cities and streets, festivals, and art. Included in the tour sites in Albany County are the Stephen and Harriet Myers residence on Livingston Avenue in Albany, which is an official Underground Railroad site, and the Ten Broeck Mansion. The Crailo State Historic site, located in Rennselaer, is also included on the tour. The tours run $555 per person and are three days long. Visit www.blackheritagetours.com for booking information.